Posted on April 24, 2015 by RACZsite Posted in Events, News	. Entries from the 2014 Juried Art Show. 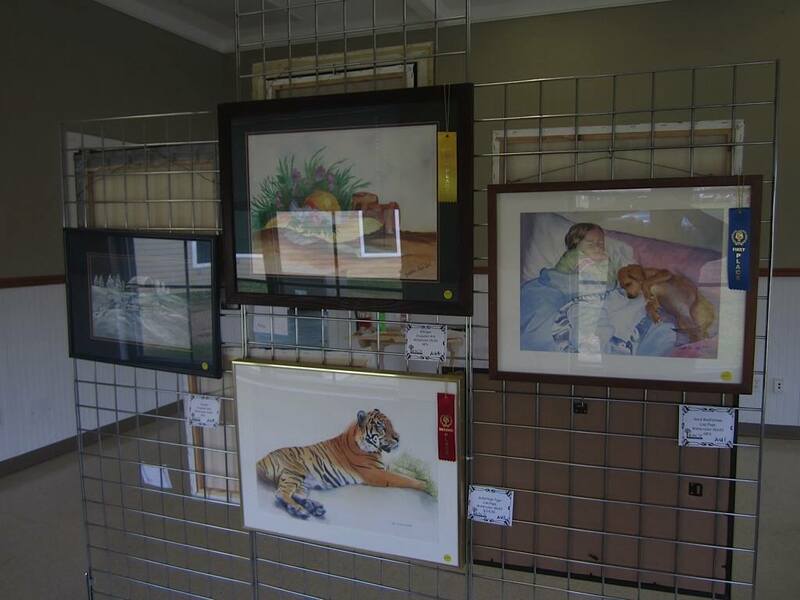 Local adult and student artists are encouraged to prepare entries for the annual Regional Arts Council of Zachary Juried Art Show during ZFest which will be held April 29 through May 3. Entry forms are available below. Participants should complete this entry form, bring payment, if applicable, and the artwork to the BREC Pavilion building in the Zachary Community Park, 20055 Old Scenic Highway, Zachary, LA, on May 1st between 4 p.m. and 5:30 p.m. Awards and prizes will be given in four categories: Adults Under Glass, Adults Not Under Glass, Age 12-17 and Under 11. A combination of cash awards, certificates and RACZ memberships will be awarded. Please see Web site for complete listing of awards. The 9th annual Zachary Arts & Music Festival will be a weekend full of activities for all art and music lovers. There will be various genres of music filling the BREC Zachary Community Park. Food and merchandise will be for sale from several vendors. The Regional Arts Council of Zachary is a community partner supporting visual and performing arts and art education in Zachary and its surrounding area. The Council is partnering with the Zachary Chamber to bring the Art Show to the ZFest line-up. Tags: Events, Visual Art	. Posted on April 11, 2015 by RACZsite Posted in Events, Music	. The Regional Arts Council of Zachary will host the second of a three-part (concert) series, Concerts at the Pointe at Americana, on April 21 at 7 p.m. 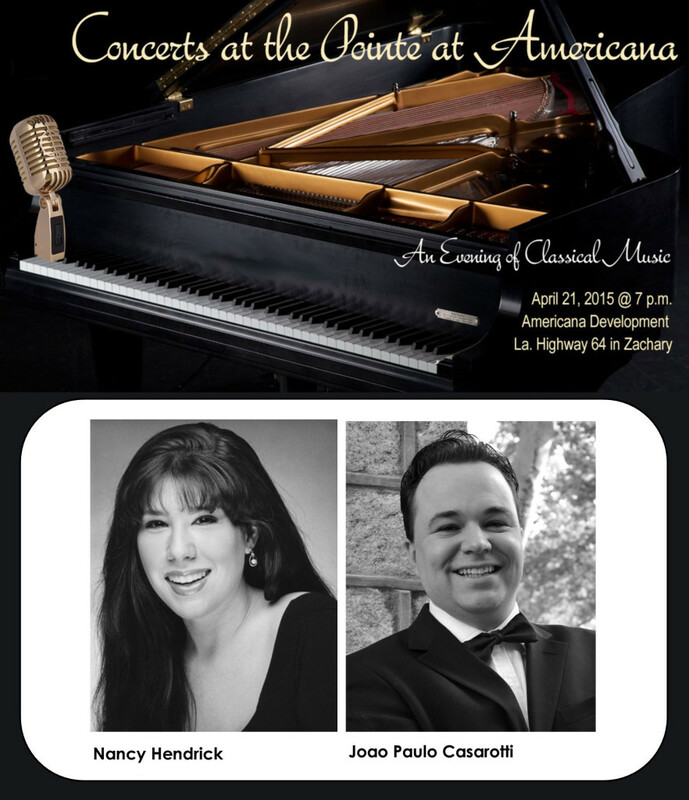 The second concert features renowned Brazilian pianist Joao-Paulo Casarotti and soprano Nancy Hendrick. Joao-Paulo Casarotti, a Southern University music faculty member, will perform the solo piano version of Gershwin’s Rhapsody In Blue. Mr. Casarotti received his M.M. in Performance and Piano Pedagogy from Temple University and M.N. in Piano Pedagogy from the University of Sao Paulo, Brazil, a Performance Diploma from the “Maestro Ernst Mahle” Music School of Piracicaba-Brazil, and a Performance Certificate from the National Academy of Music in Sofia-Bulgaria. Mr. Casarotti is a doctoral candidate currently completing his D.M.A. from LSU in piano performance. For more, visit www.Casarotti.me. Nancy Hendrick will perform ‘O Mio Babbino Caro,’ songs by Puccini, and cabaret songs by William Bolcom. Ms. Hendrick graduated from Manhattan School of Music where she studied voice with world renowned mezzo soprano, Mignon Dunn. While in New York, Ms. Hendrick performed the roles of Despina in Cosi fan Tutte, Oscar in Un Ballo in Maschera, Susannah in Le Nozze Di Figaro and Musetta in La Boheme. Ms. Hendrick was a first place winner in the Regional NATS competition and a Metropolitan Opera Regional Council Audition Finalist. The Regional Arts Council of Zachary is a community partner supporting visual and performing arts and art education in Zachary and its surrounding area. The Council is partnering with the Pointe at Americana, the newly-opened venue of the Americana traditional neighborhood development, to bring this concert series to Zachary and the surrounding communities. Tickets are $12 and $10 and available through TicketLeap. GET TICKETS NOW!